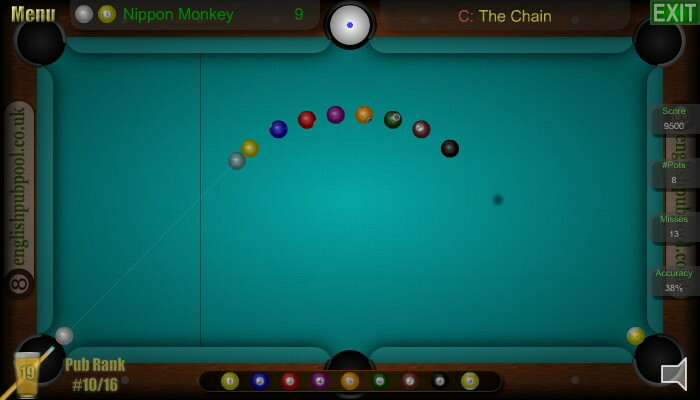 American 9-Ball Pool, the free flash 9-ball pool game with 9-ball pool Tournamants, Challenges and Time Attacks. 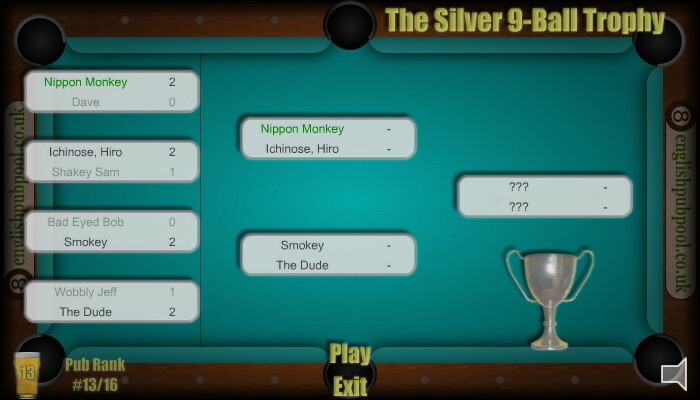 Sink the nine ball and become the Pub Champion - Are you good enough to be rank #1? Win trophies and sup down pints as you play! You win more pints by winning matches. 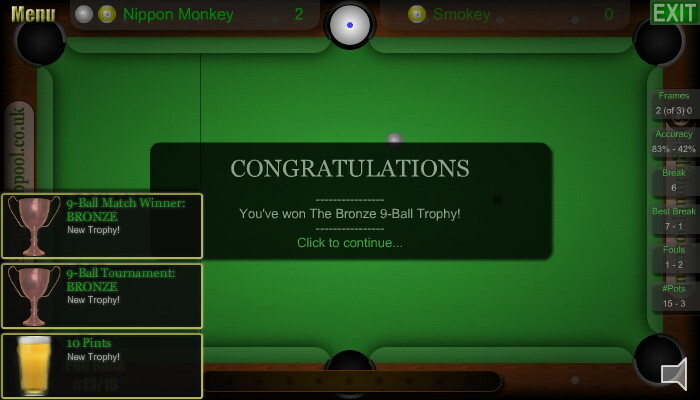 Winning pints unlocks more computer players that you can play in Single Matches. 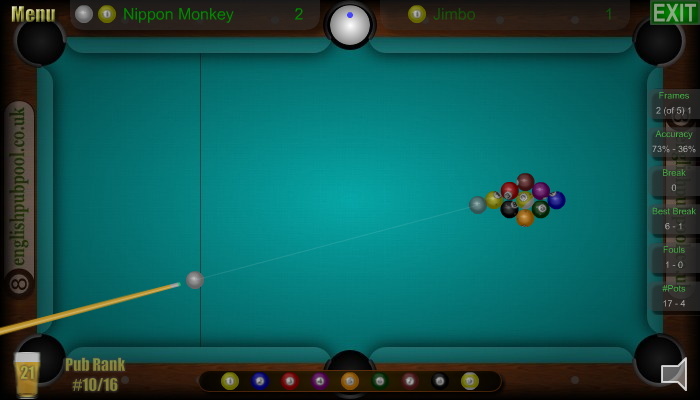 American 9-Ball Pool - One Shot Wins! 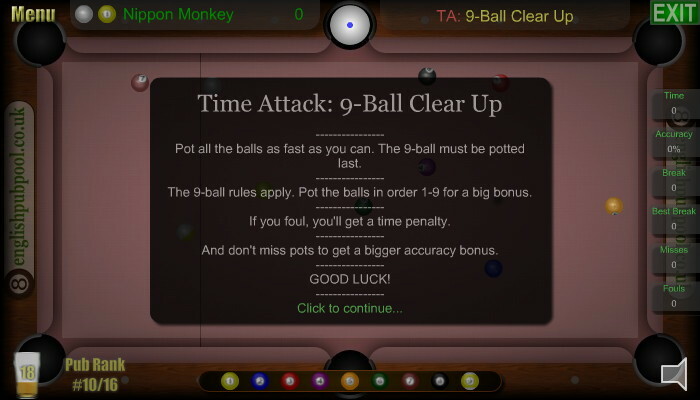 American 9-Ball Pool was developed by Nippon Monkey for englishpubpool.co.uk and american9ballpool.co.uk. 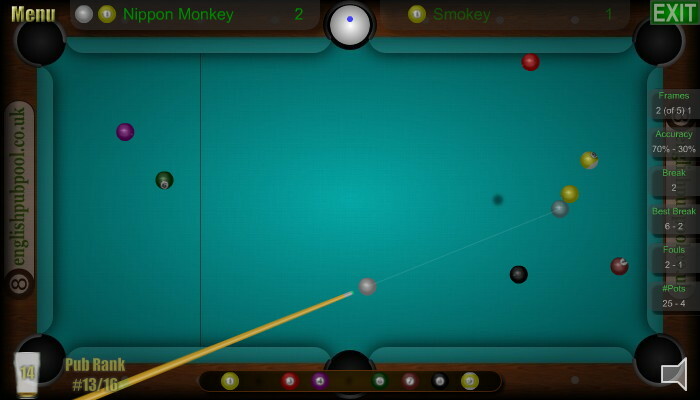 Copyright 2011 Matthew Morley. All Rights Reserved.